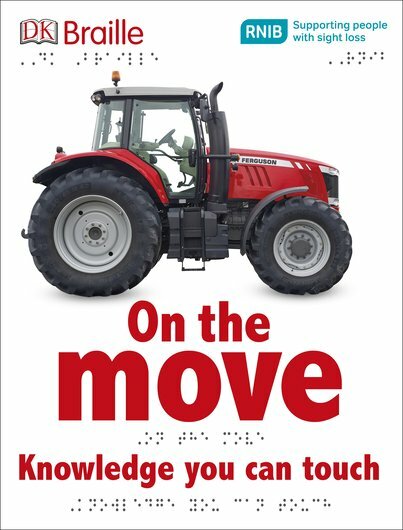 Explore transport with DK Braille! Do you love cars, trains, planes and boats? Then you need this braille book. Inside, you’ll discover all your favourite vehicles. But you won’t just read about them. You’ll touch and feel them too! Each page is written in both braille and large print, with high-contrast pictures. Plus – the pictures are touchable, with detailed embossed outlines. Cool! Open up to discover cranes, ships and monster trucks: everything that drives, glides, ploughs and flies.